Women’s Events to plan into your schedule now! Women’s Events to put on your calendar. Right now we have one a month, July through October. 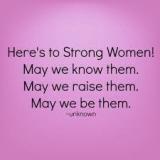 Topic: How we can maximize our strengths to assure that women’s voices are heard. In addition to training on effective collaboration, there will be issue briefs on pay equity and paid leave, the status of ERA on North Carolina, undocumented immigrant issues, voting rights and challenges, the student debt crisis, and reproductive justice/domestic violence/sexual abuse. NC NOW is leading a workshop on ‘What Does Meryl Streep Know That You Don’t” with NC4ERA and RatifyERAnc. Note: Get Ready to Run will be in Boone on July 18 and they may be in Dare County on July 29. Have you ever thought about running for office? Do you have a friend or a family member you think should run for office? Do you wonder about the basics of getting a campaign off the ground? These training programs are tailored for progressive leaders who are champions of reproductive freedom and possess some other qualities. 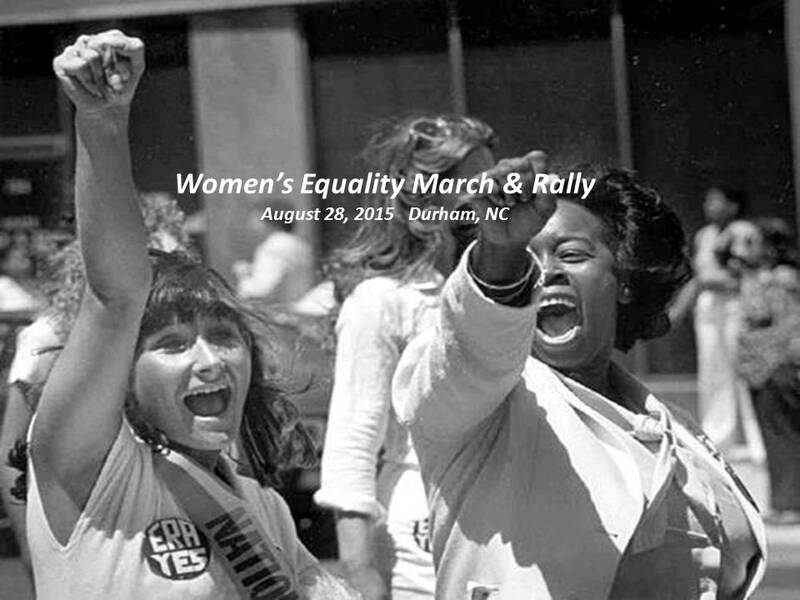 First annual Women’s Equality March and Rally in downtown Durham, 4:30pm – 7:30pm. NC women are FIRED UP and ready to rally! We have a women led, women run women’s march and rally in honor and recognition of Women’s Equality Day. Our event is in honor and recognition of the national “Women’s Equality Day” holiday, which occurs earlier in the week on August 26th. That day marks women’s suffrage with the passage of the 19th Amendment in 1920, constitutionally guaranteeing women the right to vote. We will recognize women’s progress and champion the continued push for women’s equal rights. This year’s theme is “Women’s Equality Through Time.” We are looking forward to a Mayoral Proclamation about this event. We have a press conference planned for Wednesday, August 26. Current plans for Friday are to gather at the Old Durham County Courthouse at 4:30 pm and march step off is at 5:15 pm. We will march over to Durham Central Park. At Durham Central Park, we will enjoy a terrific rally to include speakers, performance artists, skits, live music, tabling, children’s activities and food trucks. Looking at a spectacular keynote speaker and inspiring speakers from North Carolina! We’ll add more details soon! This event is being organized by NC NOW, NC4ERA, WomenNC, ActionNC, NC Women Matter and other organizations. This one day women’s summit will be held at Wake Forest University, in Winston-Salem, NC. Oct 10, 2015 – Focusing Women’s Power NOW! – NC NOW state conference, Winston-Salem, 9am-5:00pm. 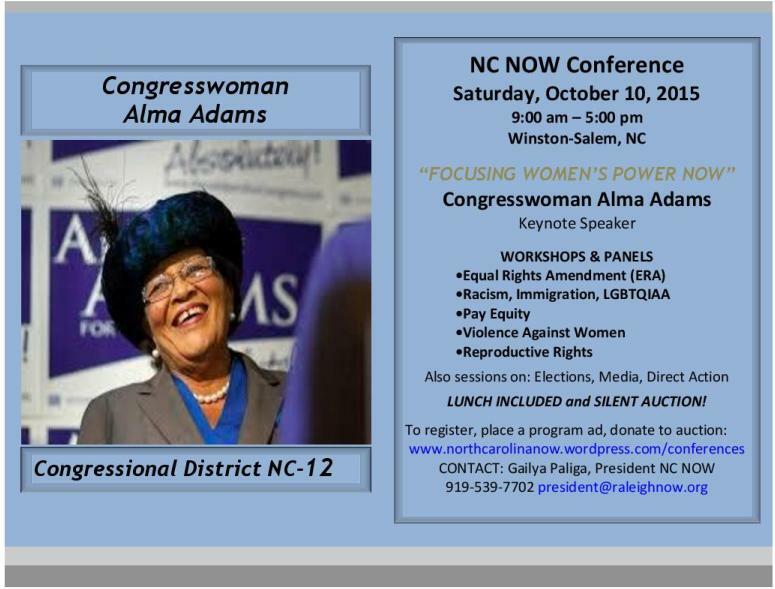 We are thrilled to announce our keynote speaker is Congresswoman Alma Adams (NC-12). This entry was posted in economic justice, Equal Rights Amendment, health care, social justice, voting, women and tagged campus safety, ncga interference, public education, racial justice, safety, women. Bookmark the permalink.